A brilliant gift for her to receive on her Birthday or any other special occasion. 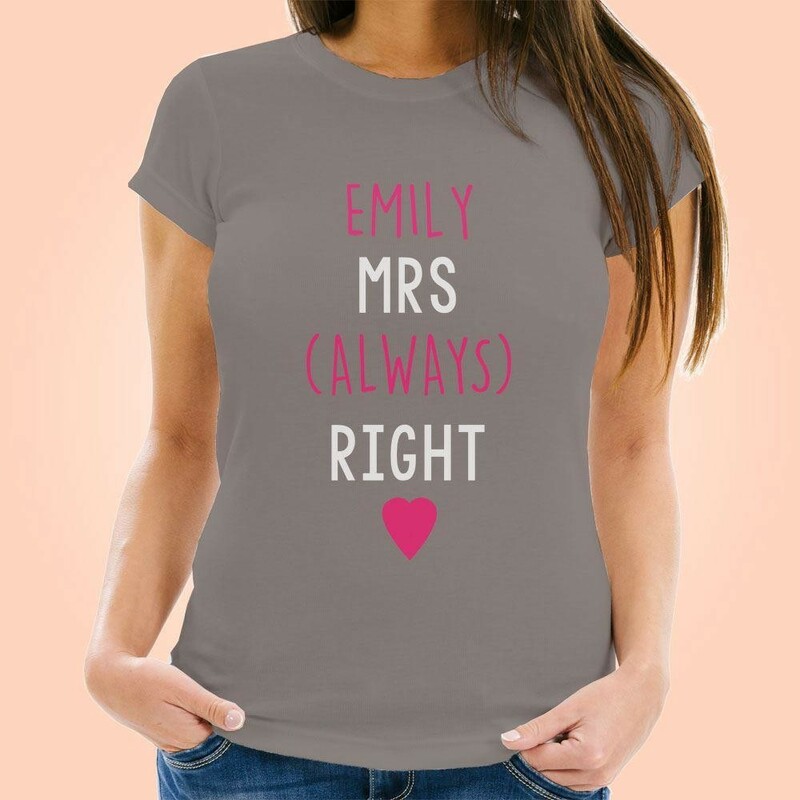 Husbands, fiancés or boyfriends will love to treat her with this comical t-shirt! 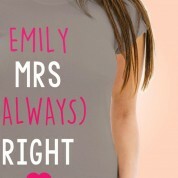 We personalise it in house with her name (followed by her proud title of always right!) 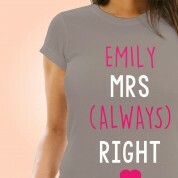 As well as a trendy fashion tee, this would also be a great gift for the bride-to-be from her Bridesmaids. Excellent to wear at her hen night out or in the lead up to her special day. A unique gift to enjoy for years to come. Our t-shirts are designed, personalised, printed and packaged by our in-house team to deliver the best quality product to our customer.